This is a story of a meat-and-potatoes Boston family and its evolution into an international brand. And no, it’s not just another celebrity dish about boy bands and movie stars. It’s more about how mac ‘n’ cheese might fit the bill in Dubai. The original Wahlburgers in Hingham. Yes, of course we’re talking about Wahlburgers, the burger restaurant chain founded by big-time celebrities Mark and Donnie Wahlberg and their big brother, Paul. But the story isn’t about “local kids done good” as much as it will be about brand marketing. 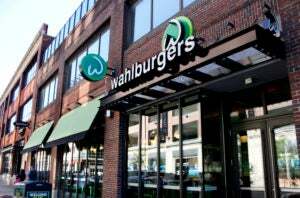 The word play on the Wahlberg family name wasn’t the primary impetus for opening a burger-inspired restaurant. It was more deeply rooted in the food that a working-class Dorchester family with nine children feasted on around their kitchen table. “It’s the casual comfort food of our childhood that we love best,” said executive chef Paul Wahlberg. That’s why the Wahlburgers menu is packed with such items as sloppy joes, grilled cheese, and signature burgers. The difference is, these items and many others — including chili and fresh salads — are made-to-order from scratch and bumped up by the creative flair of Chef Paul, whose love affair with cooking goes back to his high school years. 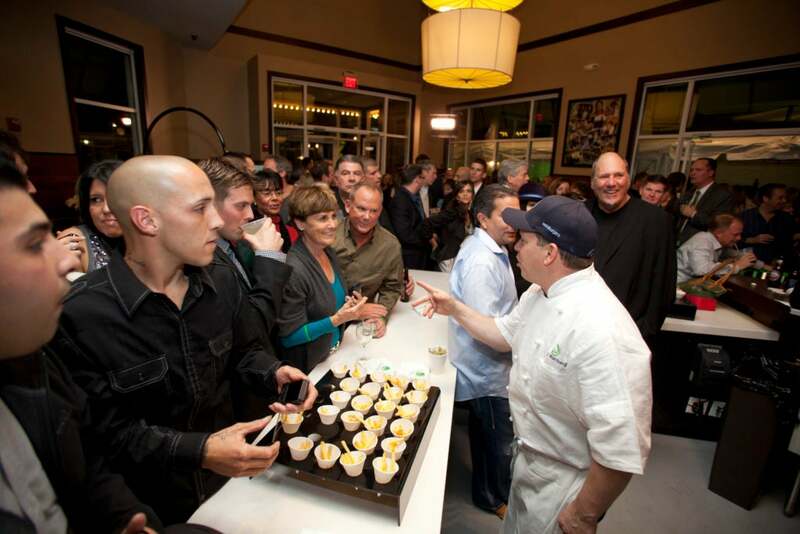 The original Wahlburgers, which opened in October 2011, is in Hingham, just across the street from Chef Paul’s first restaurant, Alma Nove, which offers a Mediterranean-inspired fine-dining experience with a waterfront view. The celebrity Wahlberg brothers — actor Mark and actor/musician Donnie — were investors in Alma Nove, which opened in June 2010 and was named for the family matriarch, Alma Wahlberg, and her nine (nove in Italian) children. The brothers were also part of the investor group behind the new Wahlburgers concept. 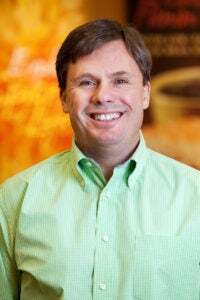 “Paul really wanted to grow the restaurant business, and burgers seemed the logical next-step,” said Rick Vanzura, a veteran retailer who was hired away from Panera Bread four years ago to become CEO of Wahlburgers. His express marching orders were to build a national restaurant chain. Rick Vanzura, CEO of Wahlburgers. Vanzura, a native Arizonan who came east to attend business school at Harvard, quickly took the reins. From the original store in Hingham, Wahlburgers has now embarked on a growth trajectory that is likely to end 2016 with as many as 15 restaurants in place with another 100-plus franchise agreements in the pipeline. While the Wahlberg family’s celebrity has certainly helped make the restaurant a destination draw, Vanzura stresses that Walburgers is not a theme restaurant. It’s not about promoting entertainment or celebrity. It’s about selling good-tasting, upscale burgers and side dishes. The restaurants feature fast-casual counter service as well as full-service, including a full bar, plus takeout. The Wahlburgers enterprise is strictly a franchise model. The original Hingham location is the only company-owned store. The remaining six stores in operation today — one near Fenway Park, one in Lynnfield, two in Toronto, one in Orlando, Florida, and one in Coney Island, N.Y. — are all owned and operated by franchisees. 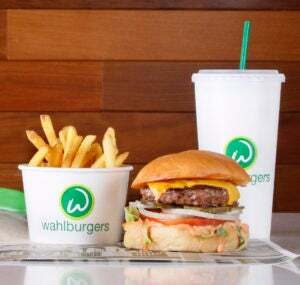 This is the business strategy Wahlburgers has decided to pursue to grow its presence in the restaurant business. The interior of the original Hingham location. But the company is also extremely selective in lining up potential franchisees. It looks exclusively for experienced, multi-unit operators with a minimum net worth of $5 million. And remarkably, the waiting line is out the door. “We’re now averaging about five inquiries a day,” said Vanzura. Current deals in the pipeline include franchisees in Manhattan, Washington, D.C., Philadelphia, Los Angeles, the San Francisco Bay Area, Las Vegas, and the Middle East/Northern Africa territory, focusing initially on Dubai. More potential locations are in various stages of discussion. When all is said and done, Vanzura and the Wahlberg brothers envision a network of around 300 Wahlburgers franchises around the United States. A lot of the buzz emanates from the Wahlburgers’ reality television series on the A&E network that debuted in early 2014. The series offers a behind-the-scenes look at the restaurant, often pitting Chef Paul, the workaholic older brother, against the good-natured teasing of Donnie and Mark. The restaurant’s Facebook page has about a quarter-million followers, the reality show’s following is around 800,000, Donnie’s fans number around a million, and youngest brother Mark tops the social media push with more than 16 million followers on Facebook. With that kind of a social media push, plus the “free” press the restaurants receive from their public relations efforts around new store openings, there has been little need for the company to use paid advertising to promote its presence. In a sense, the story tells itself. 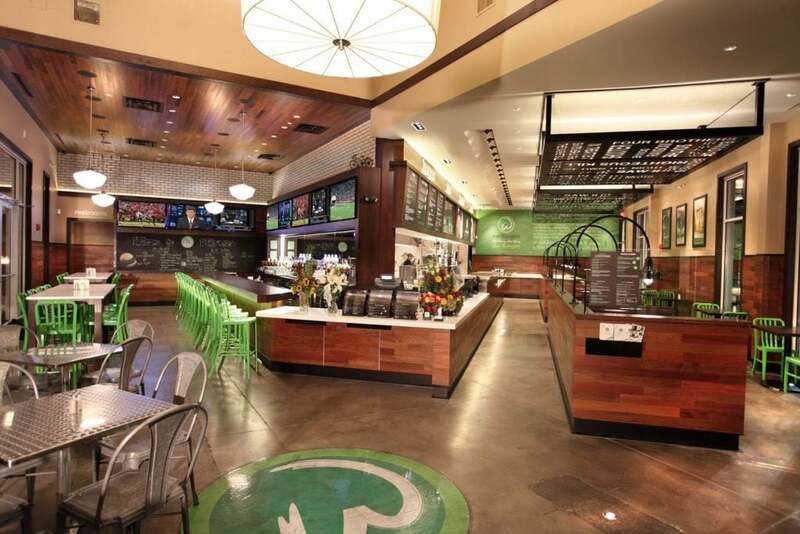 As the restaurant’s motto suggests, Wahlburgers is definitely a family enterprise. 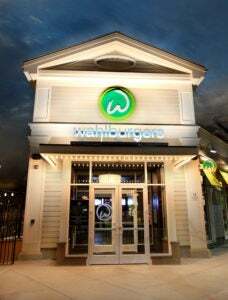 “What I’ve found most surprising since joining Wahlburgers is the level of commitment the celebrity brothers have brought to the enterprise,” said Vanzura, singling out Mark for both his interest in the business side of the company and his involvement in helping seal some of the franchise deals. Chef Paul Wahlberg behind the counter of Wahlburgers. Family pride is clearly a driving force in the growing success of the Wahlburgers chain. And the pride seems to come from a family bond born of the chaos of growing up in a nine-sibling household. “Family for us was always rooted at the dinner table,” explained Chef Paul. “No matter how much we fought and got on each other’s nerves, at dinner we put everything aside and it was all lots of laughs and genuine love for one another. Not to give away the recipe, but, as the Chef confides, the dish is no longer made with the canned sauce.